Learn about macular degeneration prevention, treatment and visual aids through reading macular degeneration resource books. I've read every book listed and provide a brief description and review. These books will help guide and instruct you in the prevention, treatment and every day living of macular eye diseases and low vision. Books, some written by retina specialists and patients who have adapted to their disease, offer so much insight and information regarding all aspects of age related macular degeneration. May we remind you that a small commission is sent to WebRN-MacularDegeneration.com each time you buy from one of our resources (like Amazon) when you have gone to their site by clicking on one of the links. Please realize this helps us to be able to continue this website by offering you free articles, answers to questions and what we hope is useful information. Thank you for your support. This book is about nutrition and eye health in general and includes information on other eye conditions, such as glaucoma. It has excellent information if you are interested in the role of nutrition as it pertains to the eye and to the retina. It is not just about macular degeneration as the title suggests. I thought it was a very helpful and informative book on nutrition and my husband and I have incorporated many of their suggestions into our diet. Those who were disappointed in the book were those who had already been diagnosed with macular degeneration and were seeking to see their condition reversed using nutrition. You can read the other reviews at Amazon. This very comprehensive AMD book is written by Dr. Lylas Mogk, the founding director of Visual Rehabilitation and Research Center, and a board certified ophthalmologist. She also was a caregiver to her father who had macular degeneration. I found this book to be the most comprehensive when it comes to treatment and rehabilitation. There is quite a bit of good information on nutrition as well. I like using her book as a reference book because it covers so many topics from treatment, to surgeries to clinical trials. It is easy to look up the different subjects in the index. Dr. Michael A. Samuel is a retinal surgeon who practices in Columbus, Ohio at The Retina Group. In the past he was an attending physician and assistant clinical professor of ophthalmology at the Wills Eye Institute in Philadelphia. His expertise is in age-related macular degeneration, retinal detachment and diabetic retinopathy. This macular degeneration resource book, includes chapters on diagnosis, treatment, and life after vision loss. It is easy to read and offers great information to help you or a loved one better understand the disease, treatment options for macular degeneration, nutrition and nutritional supplements, and resources. Yet, another board certified ophthalmologist, Dr. James Folk is a Professor in the Department of Ophthalmology and Visual Sciences at The University of Iowa. Having written over 125 scientific papers and books, he is a world renowned researcher, clinician and educator in the field of macular degeneration. The book is co-authored by Dr. Mark Wilkinson who is an associate professor in the same department who is an expert in low vision rehabilitation. If you are looking for a book to help you better understand this retinal disease and how it develops this is a great book for you. 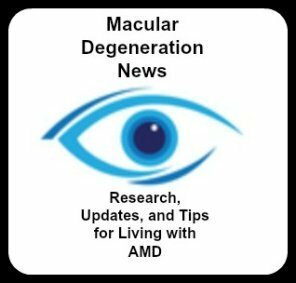 Protect Your Sight: How to Save Your Vision in the Epidemic of Age-Related Macular Degeneration includes chapters on "A Description of AMD," "What Causes AMD," and "Treatments for Wet Form of AMD" which are very thorough. As a researcher he bases his information on the many studies and clinical trials regarding this disease. There is less information in this book on diet and nutrition compared to Macular Degeneration - The Complete Guide to Saving and Maximizing Your Sight by Dr. Lylas Mogk or Macular Degeneration - a Complete Guide for Patients and Their Families. Yale Solomon, M.D. is an ophthalmologist who not only treated patients with macular degeneration, but at the age of 64 was diagnosed with AMD in his left eye and several years later his right eye was affected. He writes from the unique perspective as an eye care professional with the compassion and insight of someone who has experienced the loss of central vision. His updated book, Overcoming Macular Degeneration: A Guide to Seeing Beyond the Clouds is a great resource for patients and family members. If you or a family member have been diagnosed with macular degeneration, you will want to read about living with macular degeneration from a patient's perspective. He not only talks about the medical aspects of this eye condition - but the emotional aspects and the practical ones as well. My favorite chapter of this macular degeneration resource book is Learning from Living: Seeing Well with AMD. Mr. Roberts offers so much hope and possibility of how to live successfully and independently with macular degeneration. Mr. Roberts is the founding director of MD Support, Inc. He cares deeply about helping others who are living with macular degeneration. The First Year: Age-Related Macular Degeneration: An Essential Guide for the Newly Diagnosed by Daniel L. Roberts. Tips for living with macular degeneration are plentiful in this resource book, by author Peggy Wolfe. Peggy has lived with macular degeneration for many years and shares with her readers lessons learned on attitude and techniques and tips for living as independently as possible. With her complete understanding of the visual limitations for those with macular degeneration, she has uniquely designed her book to be read by those with AMD. The words are in large, dark type and printed on glare-resistant paper. Her macular degeneration book won first place in the regional Midwest Book Awards in the Health category. Then it was named a finalist in the Body, Mind, and Spirit category in the national Benjamin Franklin Book Awards. The awards ceremony was in New York, and won first place in the prestigious competition. Dr. Steven Pratt is a senior staff ophthalmologist at Scripps Memorial Hospital is La Jolla, California. His mother had age related macular degeneration. There are lots of great tips on living a healthy lifestyle that include not only what are some of the best foods to incorporate in our diet, but also some simple recipes. For those who are really interested in the role of nutrition and health, you will find which foods are on the top list of superfoods defined by David Wolfe. We had already started including goji berries and goji berry juice into our diet, but after reading his chapter on all of the nutritional benefits of this fruit, it will be eaten more than just occasionally. He states that, "Goji berries contain perhaps the highest concentration of the eyesight improving antioxidant zeaxanthin of any natural superfood or herbal product currently on the market." Each chapter on a superfood tells about the nutritional value of the superfood, how it benefits the body, what to look for when purchasing it and ways to incorporate it into your diet. Damon P. Miller II, MD began his career as a radiologist and surgeon but eventually moved to family practice where he blends Western medicine and naturopathic therapies to treat many different health conditions. However, he devotes a significant portion of his practice to eye diseases. He addresses factors that contribute to eye diseases, the ability to influence our gene expression, obstacles to healing, toxins, microcurrent stimulation and nutrition. 10 Essential to Save Your Sight is written by Dr. Edward Kondrot, board certified ophthalmologist and board certified homeopathic physician. He addresses the underlying causes of eye diseases rather than focusing on just symptoms of vision loss. If you are a patient who wants to take a more proactive approach to preventing or managing eye conditions like macular degeneration, glaucoma, cataracts, diabetic retinopathy, or retinitis pigmentosa you will find this book very helpful. The book covers lifestyle topics such as diet, vitamins, drinking water, toxicities in our environment, exercise, etc. This book will not only benefit your eyes but your general health as well. Alternative Chinese medicine offers a different approach and philosophy to health and healing. Acupuncture and Chines herbs are alternative medicine therapies that seek to look at the whole person, including their diets, exercise, life style and even emotions and relationships. If you are interested in a Chinese medicine book on eye health, I recommend Healing Your Eyes with Chinese Medicine: Acupuncture, Acupressure, & Chinese Herbs by Andy Rosenfarb, LAc a licensed acupuncturist. The main focus of the book is on degenerative eye conditions, like macular degeneration, retinitis pigmentosa, and macular dystrophy.